Happy National Clam on the Half Shell Day! We’re always up for celebrating a ‘holiday’ that pairs well with wine, especially when it means we get to eat out rather than dirty the kitchen. In honor, and for this week’s Taylored Wines Test Kitchen, we tracked down some of the best clams on the half shell in Chicago (granted, there are only about five restaurants to choose from). The result was a great meal paired with delicious wine and excellent conversation on a beautiful Chicago day, so now, to the results. First, a note on the taste of raw clams. They are not nearly as delicate as oysters, as they are thicker, chewier and a bit brinier, but I must say that they are still quite enjoyable with a glass of vino. 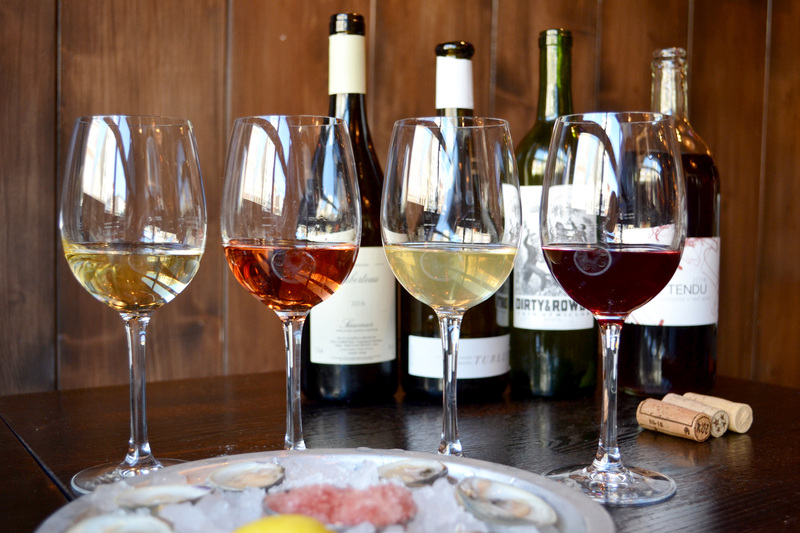 Rather than choosing our typical go-to seafood wines, we asked Oyster Bah’s talented sommelier Nate Redner to select wines that he likes to pair with clams. 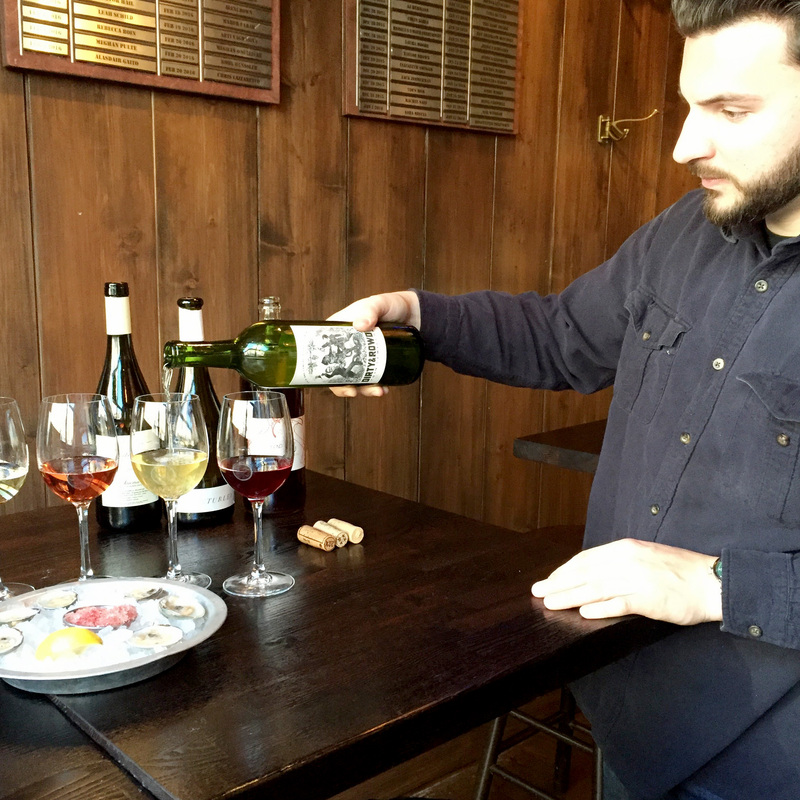 He selected four very different wines, going with two whites, one rosé and even throwing in a red. 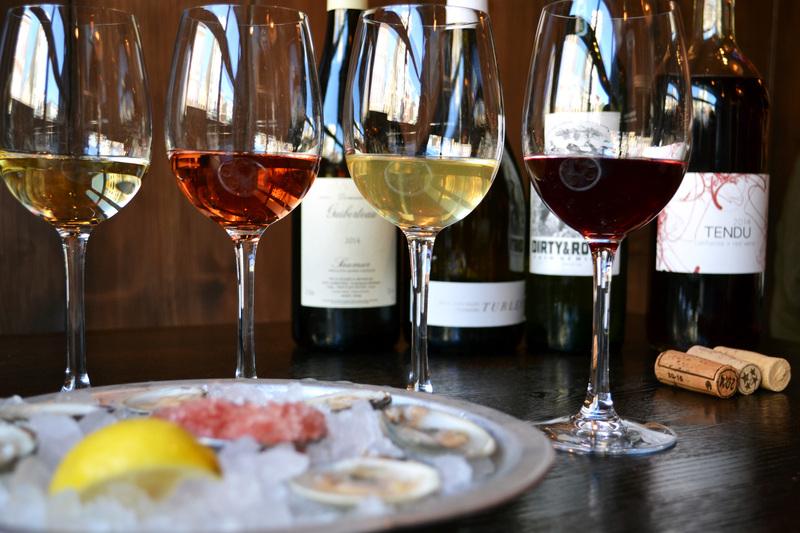 One great thing about Oyster Bah is that all of their wines are by the glass, so it’s a perfect spot to explore many different options, from classic to new school funk. If you like your wine to perfectly mirror the flavors of your food, this pairing is for you. The bright, citrus nose had hints of mineral that took my mind straight to the salty ocean. A sip of the super bright and clean wine with the clam in my mouth was delightful, and the brineness and the minerality played really well with each other. The finish lingered for quite some time. My actual note was ‘love how the citrus & clam both linger for a long time.’ Killer pairing. At least when it’s not your (grand)mother’s white zin. Thanks to Christina Turley, really good white zin is making a comback, and this beautiful wine is leading the way. It is bone dry, with bright red strawberry notes and beautiful florals. Although I felt the clam overpowered the delicate rosé, I also thought the flavors married well together to make for a really cool pairing. My random note in the margin says ‘the brineness plays really cool w/ the bright red fruit’. Because this sémillon is unfined and unfiltered, it shows a bit differently every time you drink it. Today it was much lighter and more restrained than I’ve noticed in the past. The wine itself was still fantastic, but it didn’t quite stand up to the intense flavors of the clams like the others did. If you’re looking for a great wine by the glass, go for it. If you’re looking for a wine to pair with clams, I’d pass. I did note that the flavors worked well together, but that the wine got overpowered by the clam. Another cool story, another great wine! If you want to hear cool stories of a wines origins and the people who produce the juice, go sit at the bar and talk to Nate for a while. If you want a red wine that is actually very seafood friendly, order the Tendu. Actually, I’d recommend ordering this wine all spring and summer long. As for the clams, the red did not dimish the clam’s flavor in the least and they played well with each other. It was the most unusual pairing of the bunch, but it was very enjoyable. If I was forced to pick a favorite, I’d likely pick the Chenin. That being said, if it was patio season and the windows were open, it would be clams and White Zin all evening. Cheers!